On today’s show we welcome James Lee, Manager of Visual Arts at The United Methodist Church of Greater New Jersey Annual Conference. Why film is a medium of storytelling that embodies different arts that tell one cohesive story. Understanding Jesus’ role as a storyteller through visual arts. Get the details on the Greater New Jersey Annual Conference. How James transitioned out of ministry and into wedding cinematography full-time. Learning to trust God and really go on a “faith-walk” with Him. The importance of having a mission statement for your life. Learn more about the idea behind A Future With Hope. The role of social media, video, and embracing new technology in ministry. Why it is important for Clergy leaders to be creative and innovative. The most important principles for young leaders to develop, today. James Lee is a storyteller, whose medium is visual arts. He is responsible for producing all audio and video elements for The United Methodist Church of Greater New Jersey Annual Conference and A Future With Hope. James is also the host of the bi-monthly podcast, the Uncovered Dish Christian Leadership Podcast, by United Methodist Church and the Greater New Jersey Annual Conference that uncovers stories, equips leaders, and changes the world. As the Manager of Visual Arts and Communications, James was involved in the research and develop media worship technology applicable to the 560 churches in Greater New Jersey. He also operated and maintained a fully-functional video production studio, shooting and editing an average of 5-10 videos on a weekly basis. James graduated from Drew Theological School in 2014 and also worked as a full-time wedding filmmaker prior to joining the Greater New Jersey Annual Conference. 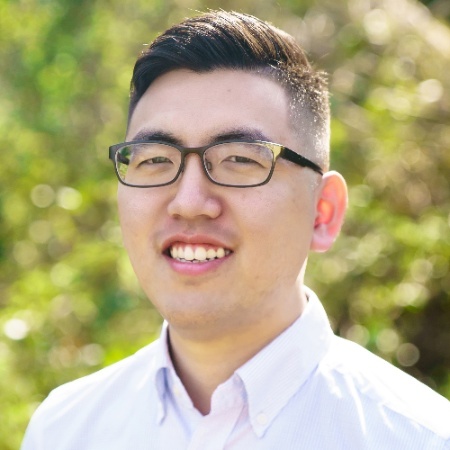 Learn more about James Lee at Gnjumc.org, LinkedIn and the Uncovered Dish Christian Leadership Podcast.